Autumn has to be one of my favourite times of year. There’s just something about the colours of the trees that I love so much and that always make me feel strangely emotional. I didn’t therefore need much encouragement to head up to the gorgeous Wendover Woods with the family the other weekend to investigate the Superworm Trail that was there until the end of October. 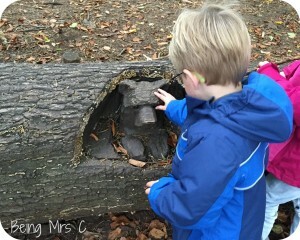 The Superworm book by Julia Donaldson and Axel Sheffer is one that has strangely passed me by until now. I’d heard of it and seen in bookshops, but just not read it until now, although it seems both kids are very familiar with the story from school and nursery. 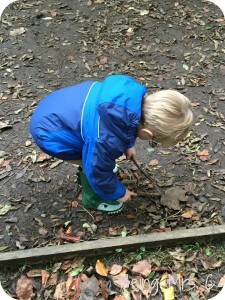 Superworm is not just your humble garden worm, oh no! 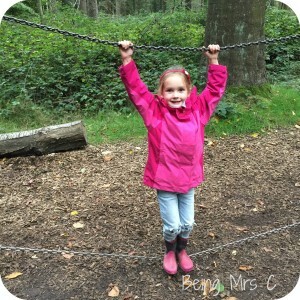 He’s a lasso, a skipping rope and even a fairground ride. When evil Wizard Lizard tries to put an end to Superworm all his friends fight back and use their own super powers to rescue him. 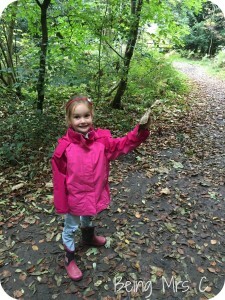 The kids love going for a walk, but there are times when they need a little encouragement to keep going and that’s when things like the Superworm trail are wonderful. 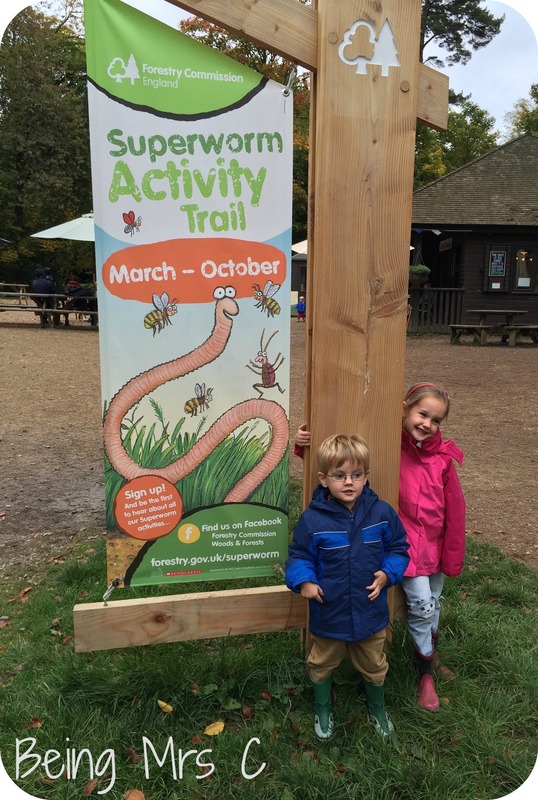 With information boards (at a perfect height for children – even those in pushchairs) all along the trail and each stop has worm related activities to suit children of all ages between about 3 and 8. 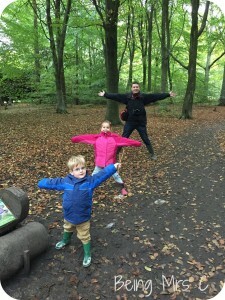 With kids being encouraged to jump, skip and pretend to be worms it’s great fun to see them all really getting into the spirit of things, and also a brilliant way of developing younger kids’ gross motor skills and keeping them warm on a chilly day! 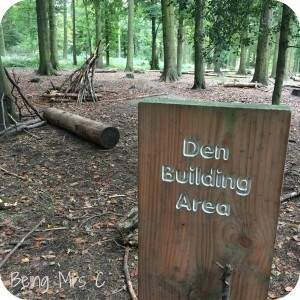 Another thing that we love at Wendover is the den building site that is towards the end of the Superworm Trail. There are plenty of dens started off for children to enjoy and add to and it was lovely to see both of my two start grabbing branches to build their own dens. 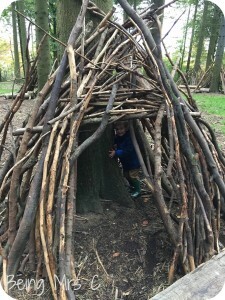 It was also really nice to see some older kids happily invite Master C into their huge den to have a look around and see what they’d built. He’s really into joining in with older kids at the moment and so it really warmed my heart to see them responding to him so enthusiastically. There was also an added treat at the end of the Superworm Trail for any fans of one of Juila Donaldson’s other works – The Gruffalo. 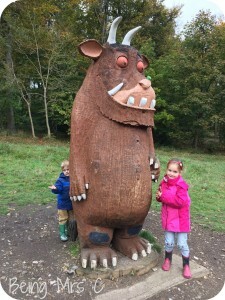 Leftover from the previous Gruffalo trail that was at Wendover there is a huge Gruffalo statue still there which my two thought was absolutely fantastic. 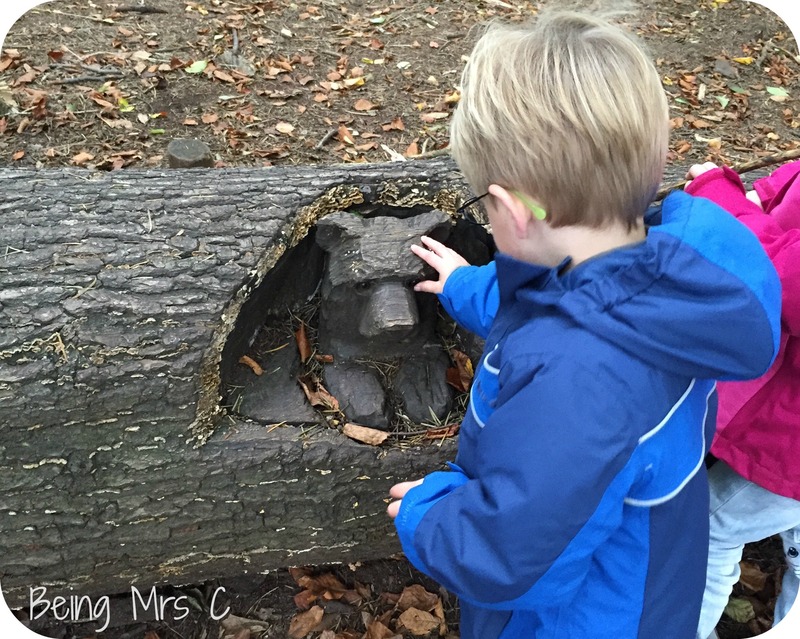 It’s strange how a large Gruffalo with purple spikes on his back and a wart on his nose can fit into the surroundings, but somehow he manages to do so! When we did the trail we took with us a Superworm Activity Pack which contains a little Superworm book, a leaflet with extra activities in it and a handy piece of string to make your own Superworm. 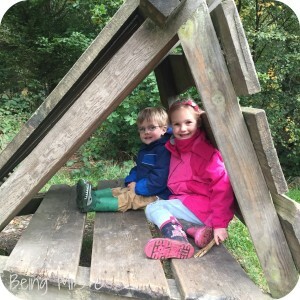 It’s not necessary, but is a nice addition if you don’t already have the book, or if you have slightly older kids who want more activities to do as you go round. 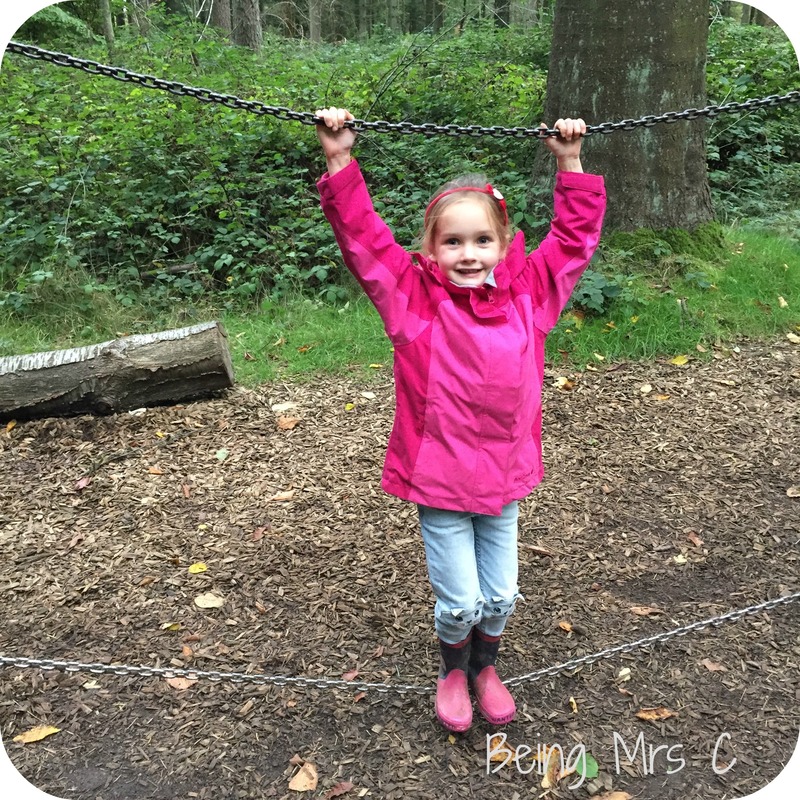 You can also still download some free activity sheets from the Forestry Commission Website before you go. 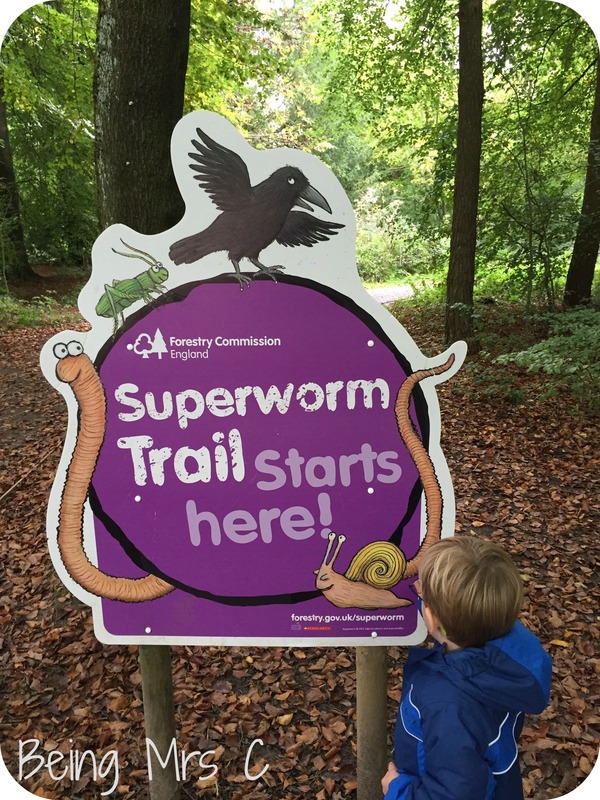 The Superworm trail may now be over, but look what I spotted on the Forestry Commission’s Twitter feed last week. 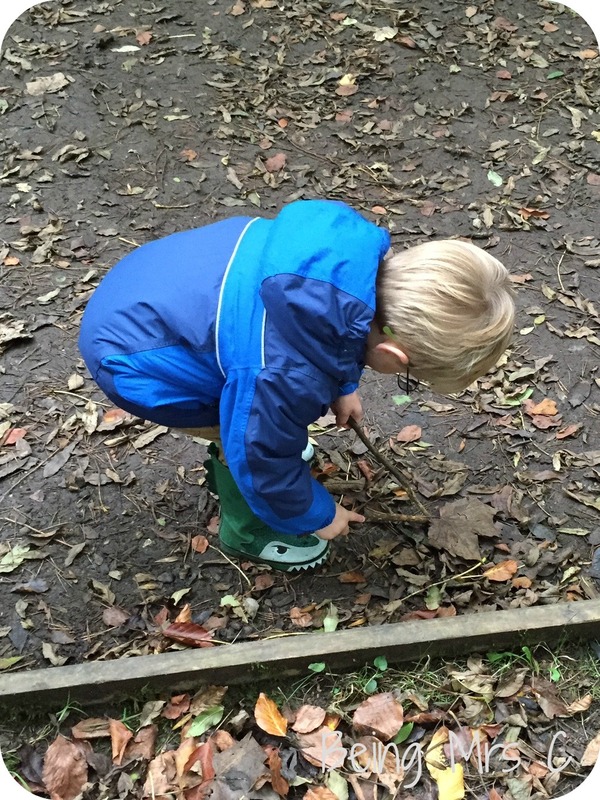 Keep following the Forestry Commission online to find out about the Stick Man coming soon and take a look at their website here. 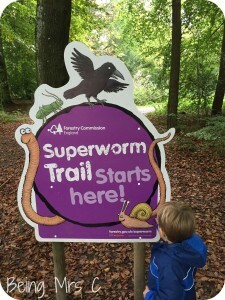 The Superworm Trail was at Wendover Woods until 31 October 2015. The trail was free to follow and you just needed to pay for parking which is pay and display. 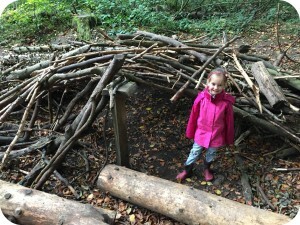 I’m guessing future trails will follow a similar route and the path is flat and suitable for a buggy and young walkers. There is a cafe and toilets near the start of the trail and also a playground. 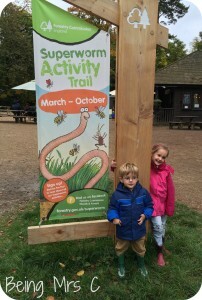 Disclaimer: We were sent a Superworm Trail Activity Pack and a parking permit to enable us to share with readers what the trail is like. All opinions are my own. This post contains an affiliate link.